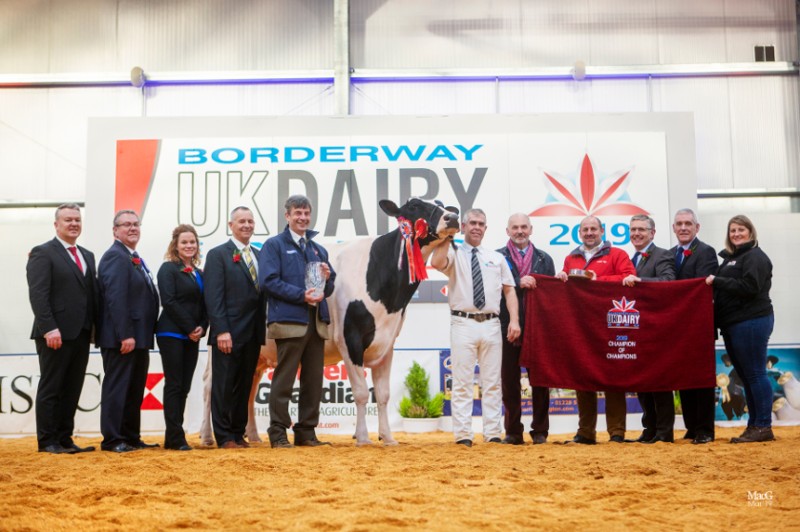 The NEW Grand Champion of the Borderway UK Dairy Expo is Sahara Sanchez Ambrosia 3 exibited by Riverdane Holsteins and Barmick Holsteins. The Reserve Grand Champion went to Evening Stanleycup Jennifer and the HM. Grand to Beemer daughter Wiltor Beemer Sara. 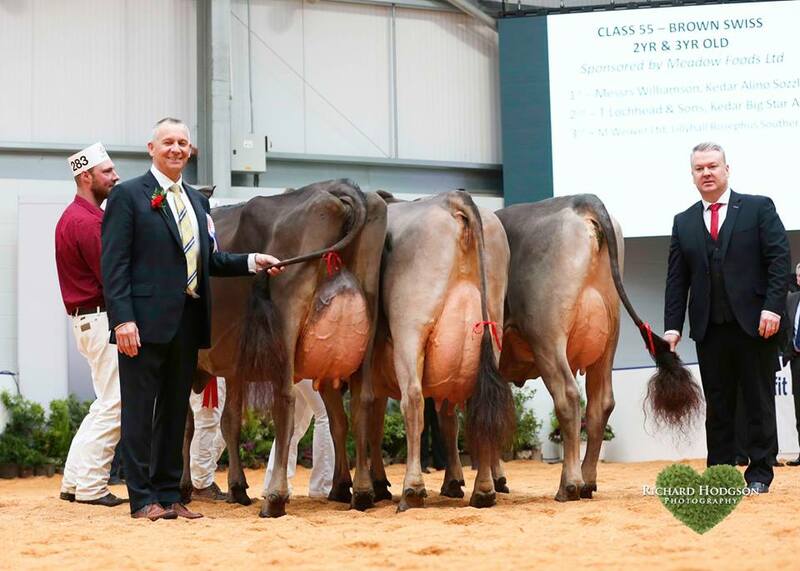 Again a great show with huge quality of the cows. 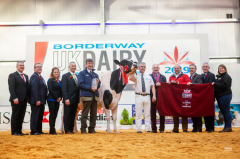 Their was also succes for Panda Holsteins who was crowned as the Premier R&W breeder of the UK Dairy Expo and won the 2yr. Old class with their O'Kalibra descendant: Panda Autumn O'Kalibra Red and took home the Res. Junior Champion Panda Emerald Fools Gold Red. 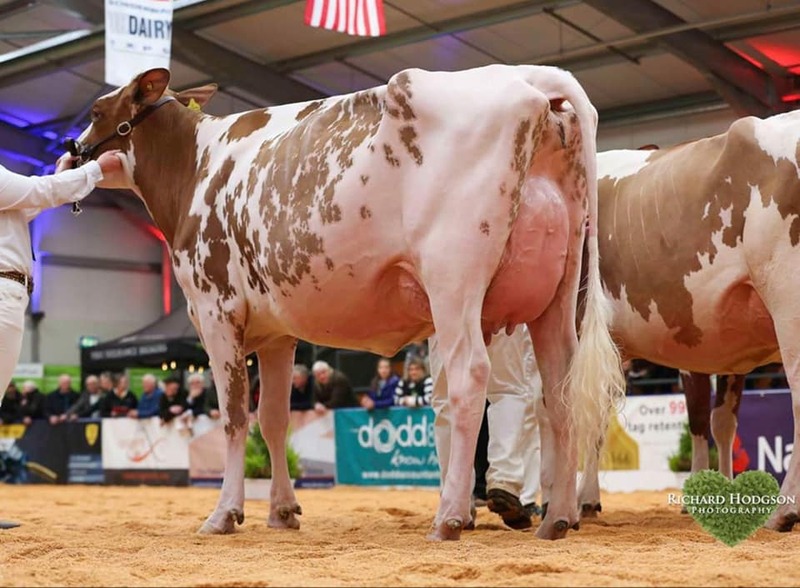 Their was also succes for Kedar Brown Swiss at the Holstein Junior Show with LH Kedar Lindsays Let Rip winning her class and later on winning the HM. Grand Champion of the Junior Show. 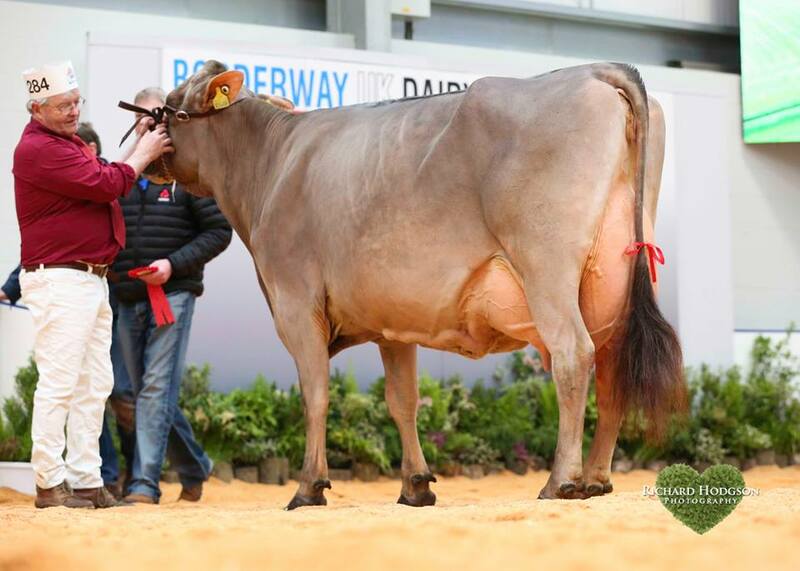 During the Brown Swiss Junior Show, Kedar Brown Swiss took home the Res. 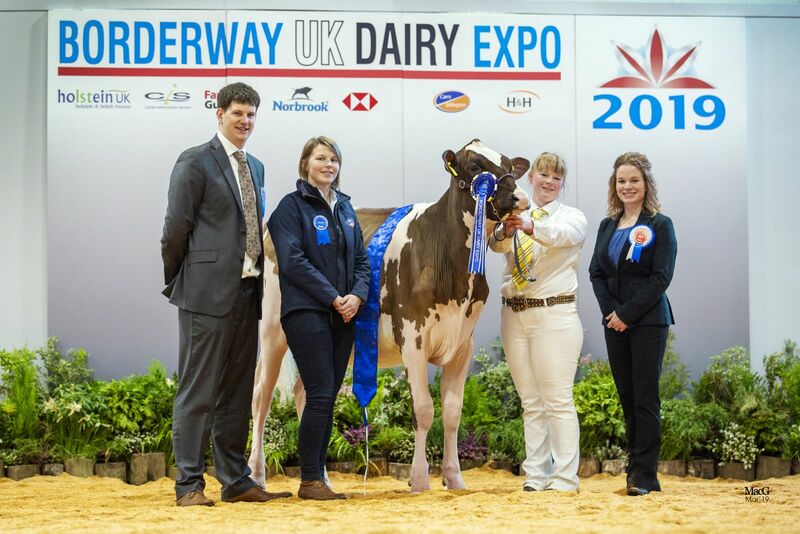 Junior Champion of the show. 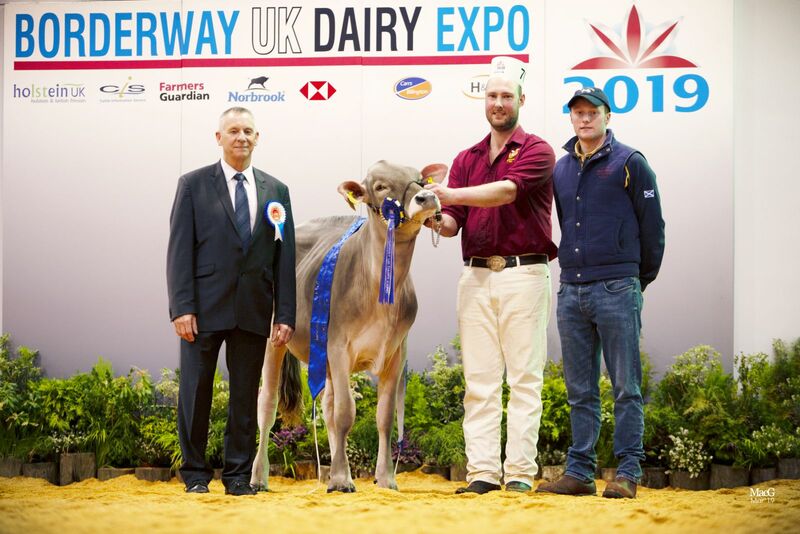 The Brown Swiss show was also won by Kedar Brown Swiss with the famous show cow: Kedar Rhapsody. The Res. Grand at the coloured shavings was for Kedar Vigor Heike and HM. 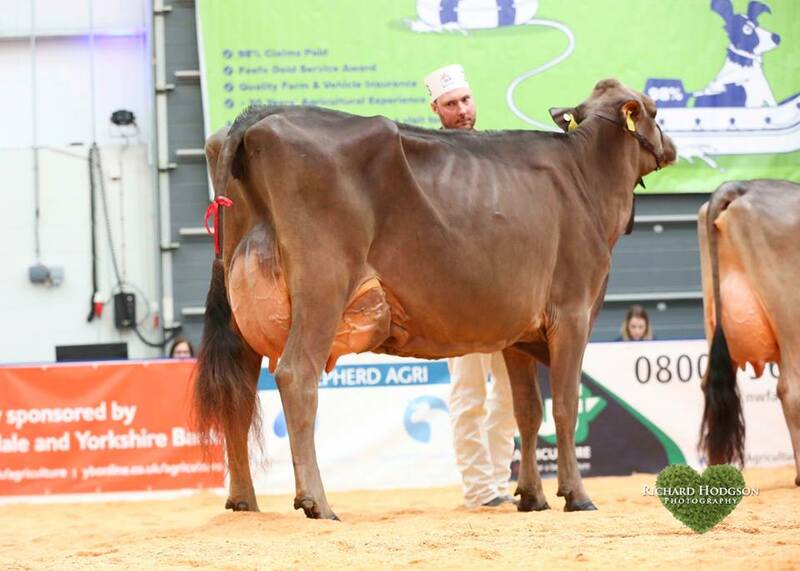 Grand also for a cow bred by Kedar: Kedar Alino Sozzle. 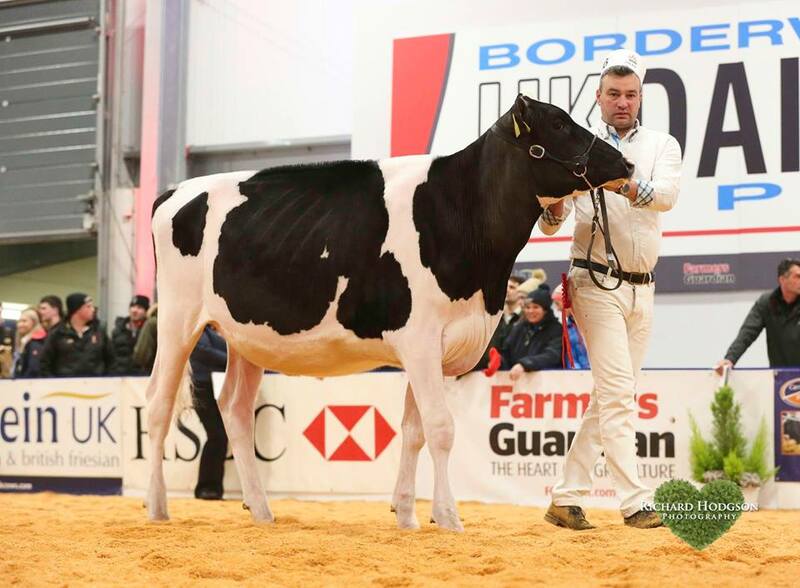 To contact Tynevalley Holsteins, click here or use the following contact information.